Trips are lightweight and tailored to you and your abilities, ensuring the ultimate for you. Our staff experienced, skilled and knowledgeable are prepared to help you plan your trip. There are a great variety of options available. From a one day guided trip to guided trips for as long as you please. A family trip, a weekend getaway trip, just the girls trip, I’ve never done this before trip, take us deep into the interior trip, a fishing trip. Because of our unique northern location we have the luxury of an abundance of wildlife and the seclusion of a deep wilderness trip right at our door step. With a minimal amount of work and time... a true experience begins. The possibilities are endless. We have guides that are native to the area and will lead you through the North. Guides that will share their knowledge, years of experience and their skills. Making your trip educational, safe, as well as fill you with the beauty and wonders that you will always carry within you. We provide Aboriginal guides, that will share with you their skills, experience, points of interest, native traditions, culture, and beliefs. Let us take you there!! River, where Algonquin Aboriginal people inhabited the region more than 6000 yrs. ago and what was once an important route for Voyageurs, Trappers, and Loggers or a day in Algonquin Park, experiencing nature at its best. Enjoy a wilderness experience. ● The day begins with orientation and canoeing instructions, then when you are ready, your trip begins. ● As we make our way down the scenic Mattawa River we’ll fill you in on some of the interesting history of this area. Bring the surroundings to life as you imagine those here before you. ● A day in Algonquin padding beautiful Kioshkokwi lake. 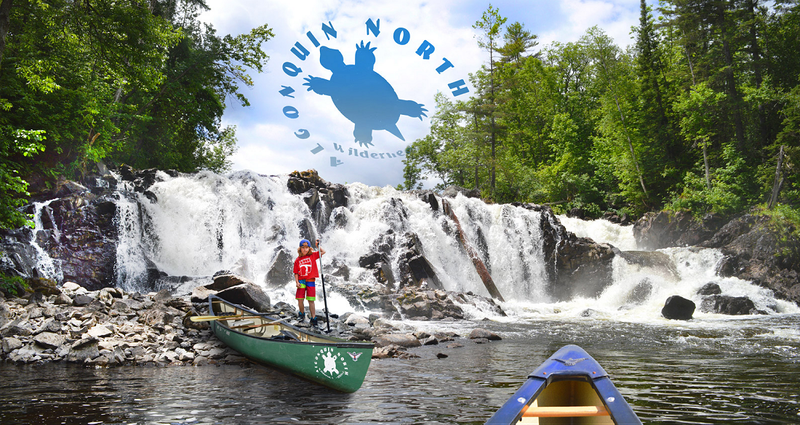 View nature as only Algonquin can offer. Get close to nature. Swim, fish and play. ● Enjoy a delicious shore lunch. ● Return to the Outfitter Base via our shuttle service. BE PREPARED! Bring sunscreen, fly repellent, hat, sunglasses and appropriate footwear and clothing according to the weather. Personal items such as toothbrushes, sunscreen, fly repellent, and rain gear are your responsibility. These items may be purchased at our Outfitter Base.